And that would just about describe it. 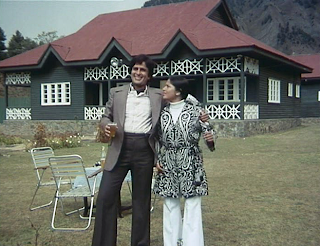 Kabhi Kabhie is all of the above - and everything I hope for in a Yash Chopra movie. The cast deserves special note. We've all seen big movies packed with big names and they disappoint, either because they're under-used or the actors turn in uninteresting (or even bad) performances. That is very much not the case in Kabhi Kabhie. This movie has three of my most favorite people from past decades - Shashi Kapoor, Neetu Singh, and Rakhee Gulzar - and they and everyone else do a fantastic job. 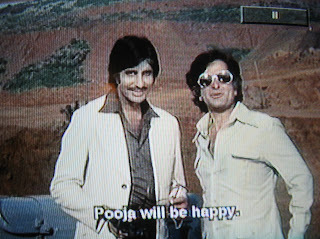 Shashi is smiling and breezy but not careless or unfeeling. Amitabh is brooding but repentant. Rakhee is funny and sweet but mindful. 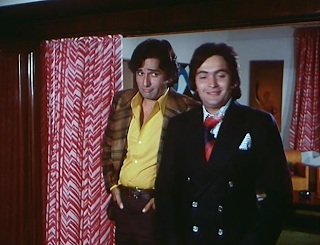 Even Rishi Kapoor, whom I don't necessarily enjoy, was a treat, very physical in his gestures and expressions. I wasn't actually fond of his character, but I liked his performance. I read that Neetu and Rishi fell in love during the filming, and I hope that's true, because I feel like I saw it in their performances. Very cute and very endearing - not just the lovebirds but the whole cast. 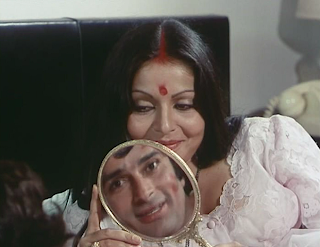 There were also some sweet touches of everyday life (very welcome in the movie world of mega-houses, horse racing, poetry, and tv studios) that made me like the characters even more: the funky wooden table in Amitabh and Waheeda's daughter's teen hangout room in the basement, Rakhee sitting on the floor working at the coffee table, Rishi trying to take his phonecall from Neetu as far away from his father as he could, limited to the reach of the cord (if you're my age or oler, you might even remember doing such a thing...kids today, with their mobile this and their wireless that, they have no idea...). Let's see some of that pretty, shall we? My computer did not like this DVD and it got really spazzy about halfway through the movie, so my screen captures are limited. But I just had to have this scene, so I resorted to taking a picture of the tv screen. Just look at the mustache and shades! * While I don't think the movie would have been less without the adoption plot line (I read somewhere that the story originally focused on the adults and that arc was added later), it was handled nicely, and every time I found myself about to get tired of the kids, the movie shifted to the Amitabh/Rakhee/Shashi story. Can anyone confirm that the story was indeed originally proposed without the Neetu/Waheeda story? ** I know a lot of people adore this soundtrack. I don't. My verdict is that the songs are wonderful in the movie but I don't feel the need to listen to them on their own (a few of them appear on various compilation albums I have, and I never choose these - but I listen to them if they come up on shuffle). This was a movie I just couldn't get into! I tried--twice! It was just too slow and dreamy too early. And the plot lost me early on. Maybe I should give it one more try. Sigh. 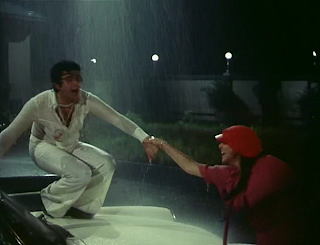 Kabhi Kabhie, the title track is my all time favourite Hindi song. It is sung by Mukesh, my favourite singer too as an added bonus. I've always found the music of KK to be snoozeworthy - although I'm in the minority for sure. Again this spelling "kabhi" 2 different ways, like in K3G. What's up with that? I guess it's Yash Chopra-ier. I really like the soundtrack, too - especially the title song in all versions. Actually the film credits the story to Yash Chopra's wife Pamela Chopra, but at the time it was said to be a straight lift from serialised stories that appeared in British Women's magazines, very popular among certain classes of Indian women, namely Women's Weekly and Women and Home. 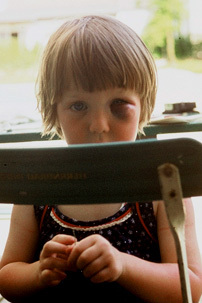 This one was very like a story in Women and Home. And that one included the kids angle I think, though of course not the tacked on Hindi film ending, which maybe is the reason it looked so out of place. bawa - Interesting! Now that you say it, it does sound like a magazine serial. Hi Beth, just to let you know I've availed myself of your inspirational article on Kabhie Kabhie - which not many other bloggers seem to think inspirational!